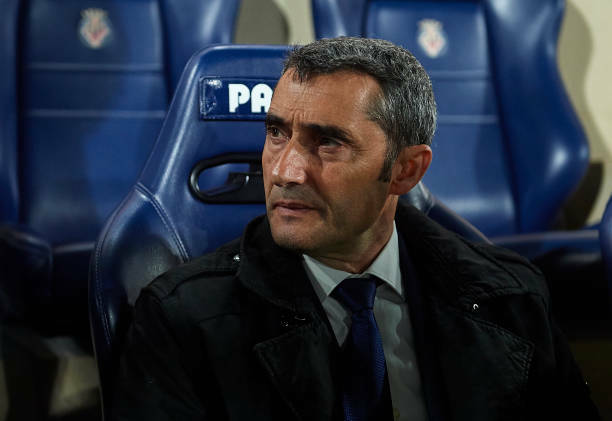 Barcelona boss Ernesto Valverde has called on his team to “finish the job” in La Liga after they moved 11 points clear of Atletico Madrid on Saturday. The Blaugrana beat Atletico 2-0 at the Camp Nou after Diego Costa was sent off in the first half. Costa was given a red card after he angrily confronted referee Gil Manzano shortly before the half-hour mark. Luis Suarez eventually broke the deadlock with a superb curling strike into the bottom corner on 85 minutes. Messi made it 2-0 just a minute later with his 33rd league goal of the campaign as Barca hit on the break immediately after the restart.